The Old Blacksmith’s Workshop holiday cottage in Whitby provides well-appointed, newly refurbished accommodation which is all on the ground floor. 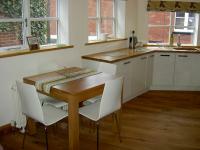 The cottage has a high standard of fixtures and fittings and boasts several exposed timbers. There are 2 bedrooms which sleep up to 4 people. Parking space suitable for a medium sized car located approx 100 yards away. with a ¾ (4ft) double bed. Open plan living area with kitchen, dining and sitting area with leather sofas. Electric fan oven and ceramic hob. Integrated fridge with ice box. Wall mounted colour LCD TV and DVD. Oak flooring and exposed beams. Heating and power included in rental. 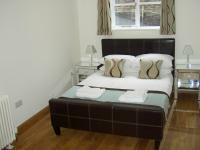 All bed linen, towels and tea towels included in rental. Tariff details are provided on request by contacting Carra, details below. Sorry NO SMOKING and NO PETS policy in cottage.